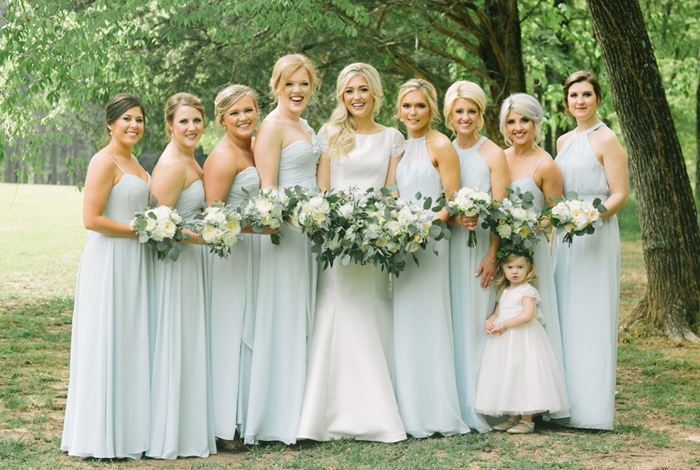 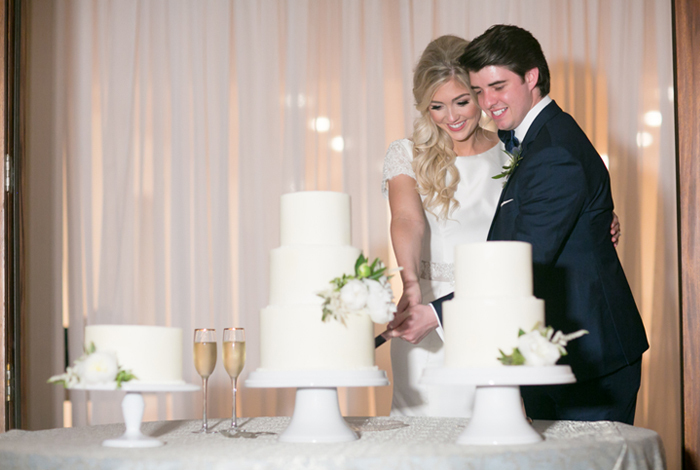 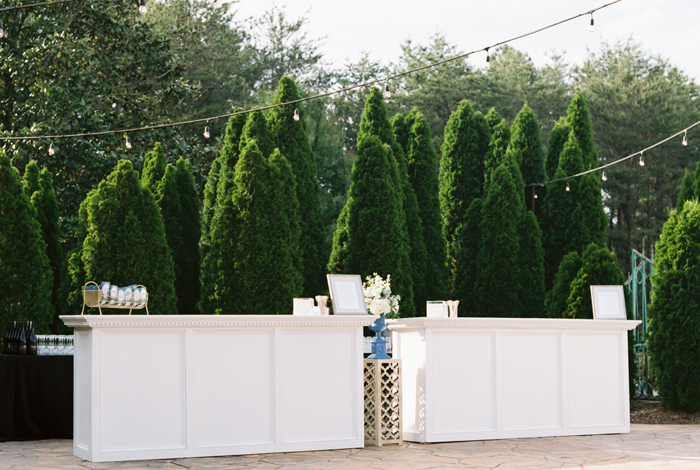 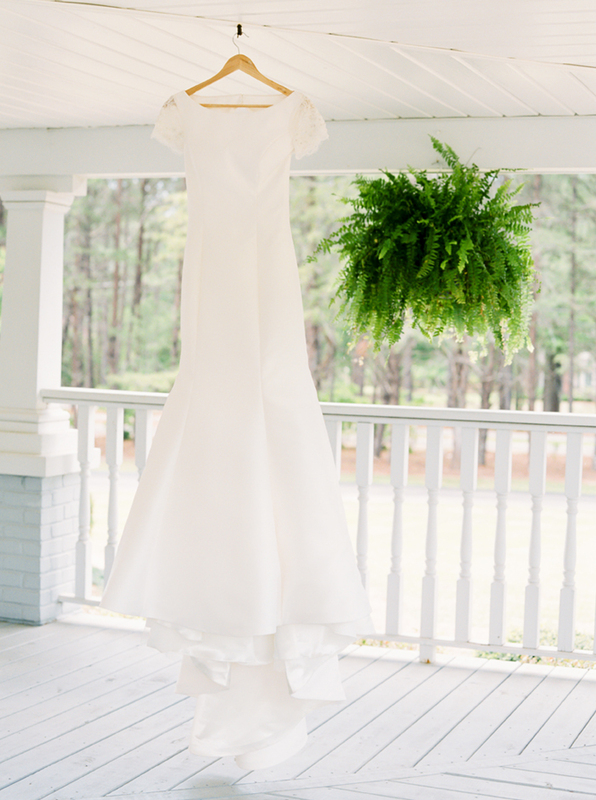 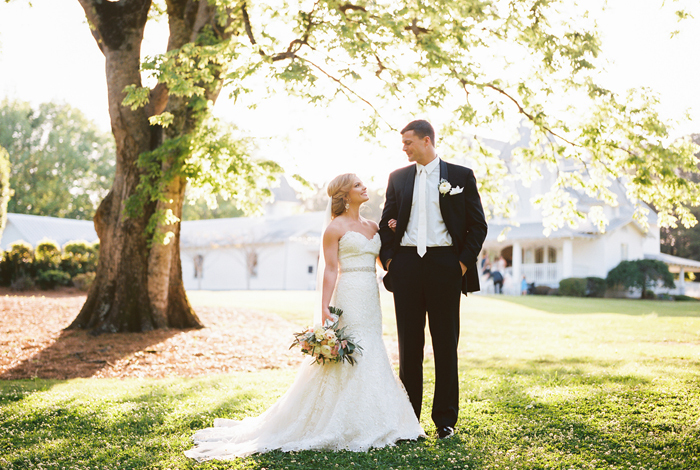 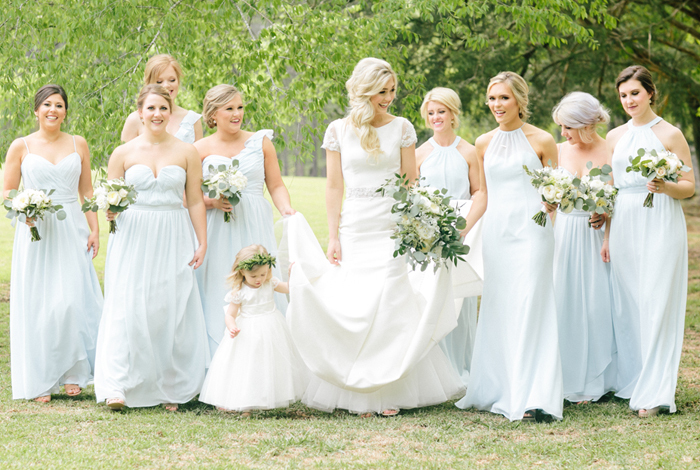 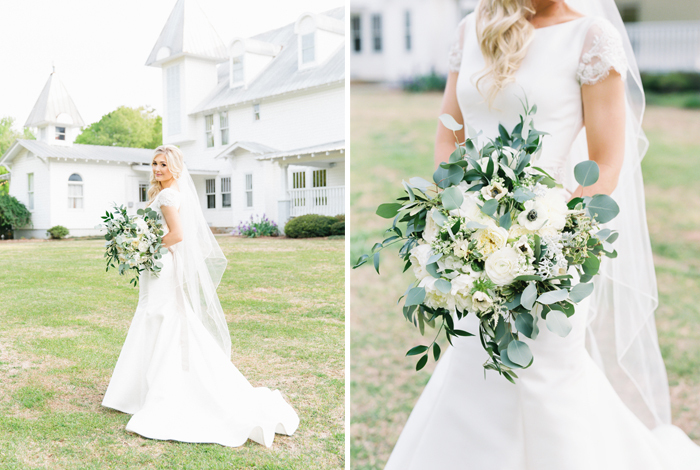 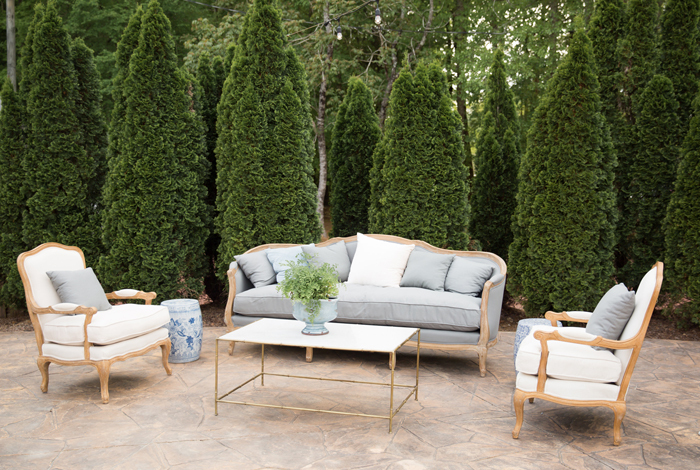 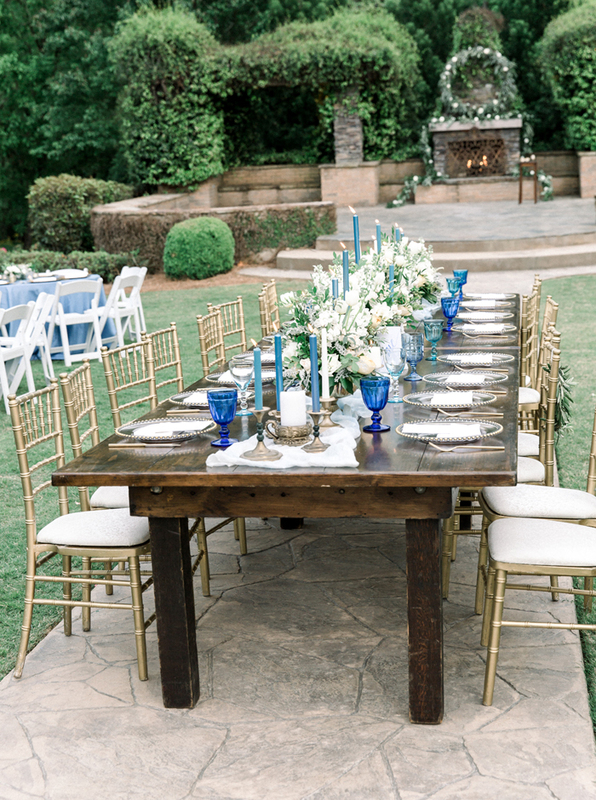 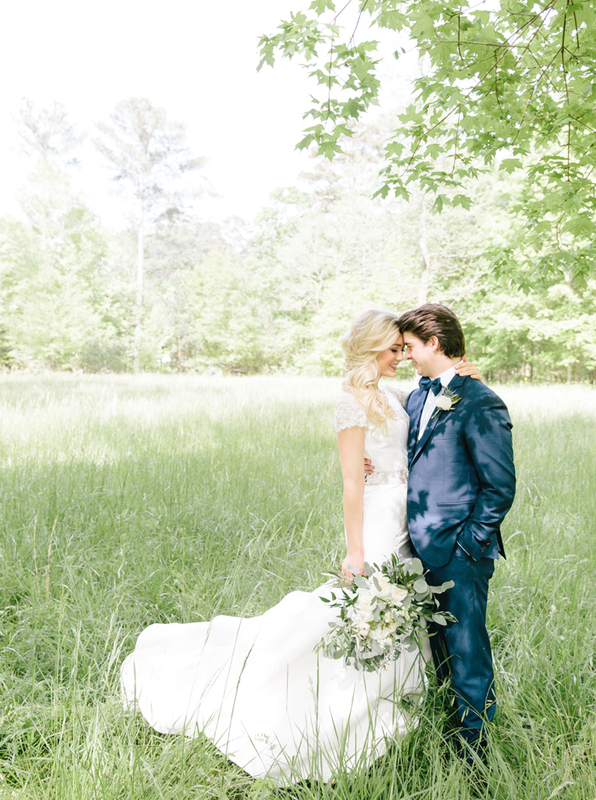 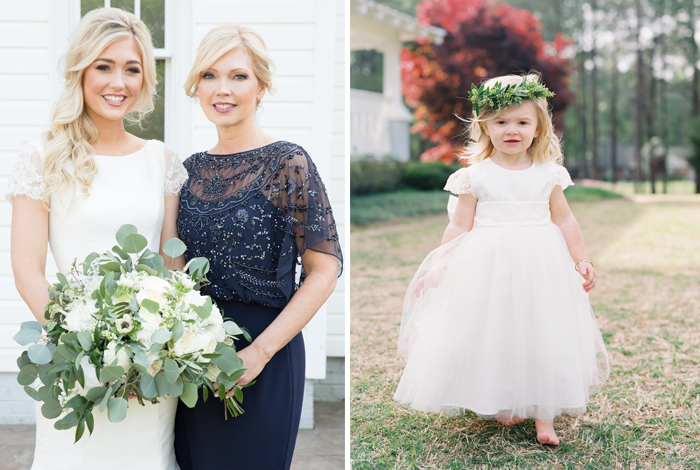 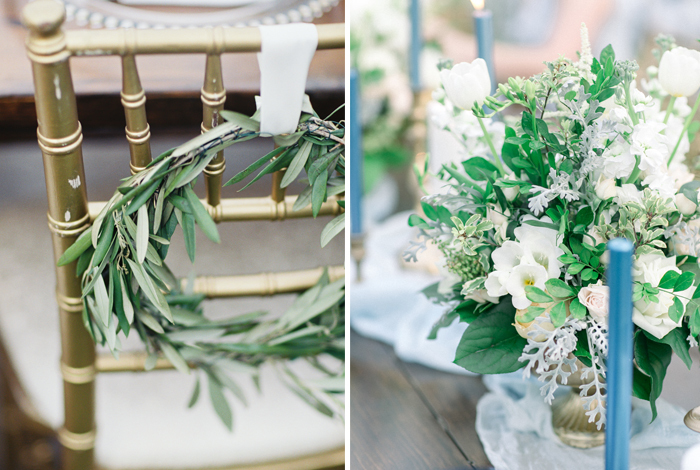 French Garden Inspired Wedding & Reception with M Elizabeth Weddings & Events | Laura + TaftThe Sonnet House - Wedding and Event Facility in Leeds, AL. 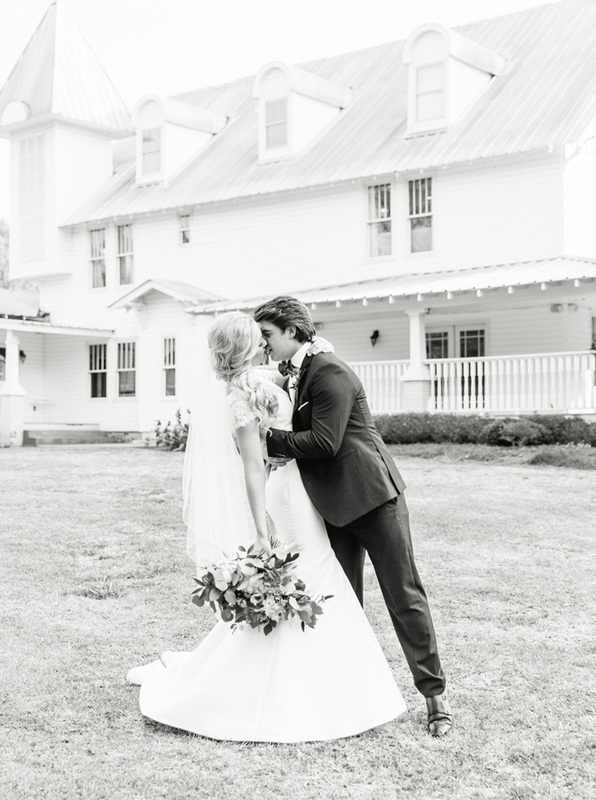 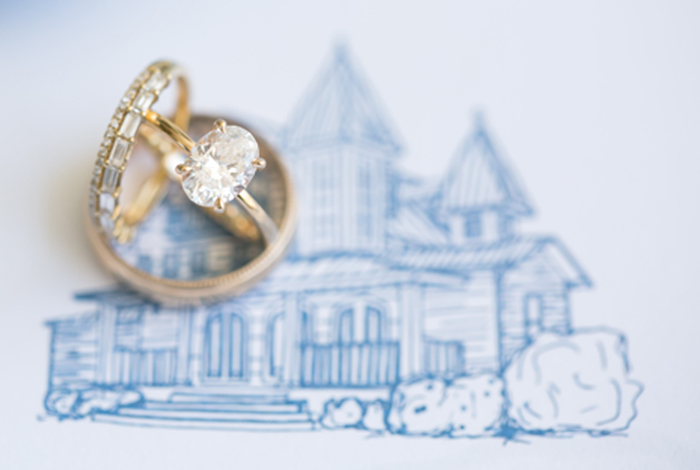 The Sonnet House is over the moon to finally be sharing Laura + Taft’s April wedding day with you guys! 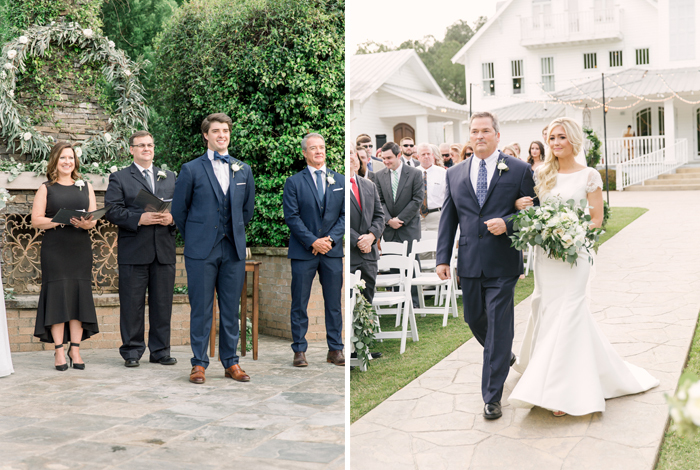 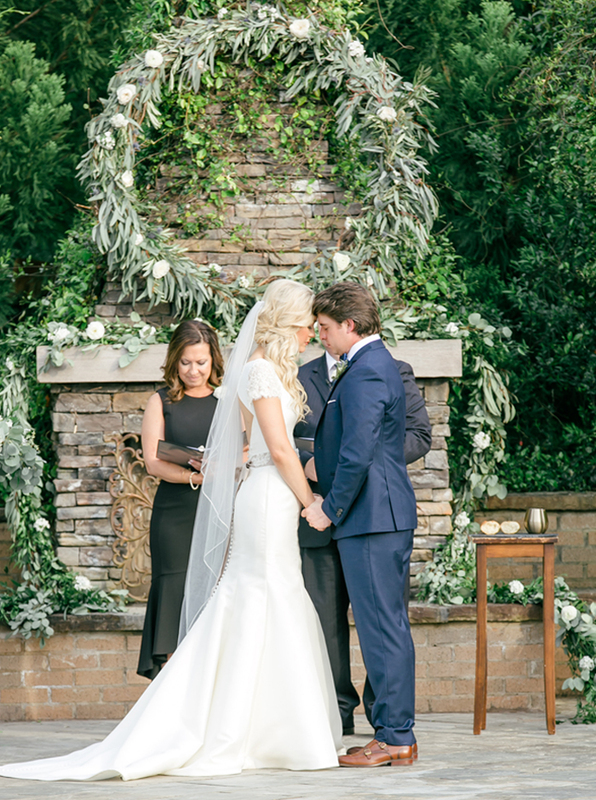 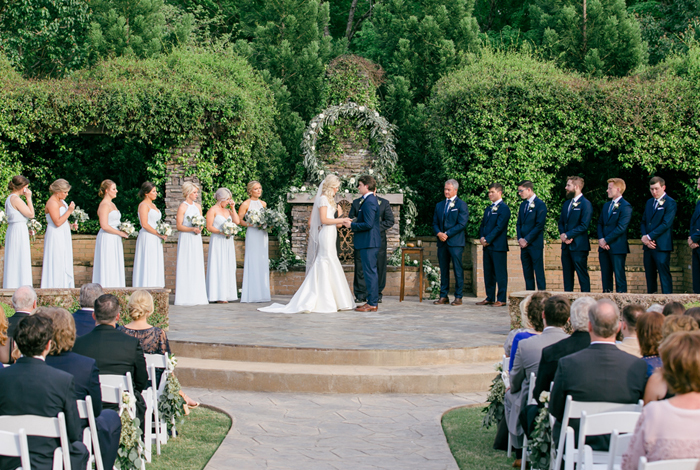 With some of the most beautiful Alabama weather we’ve ever seen and a romantic French garden inspired floral design to match, almost a year later it is still one of the most breathtakingly beautiful wedding days we have ever seen. 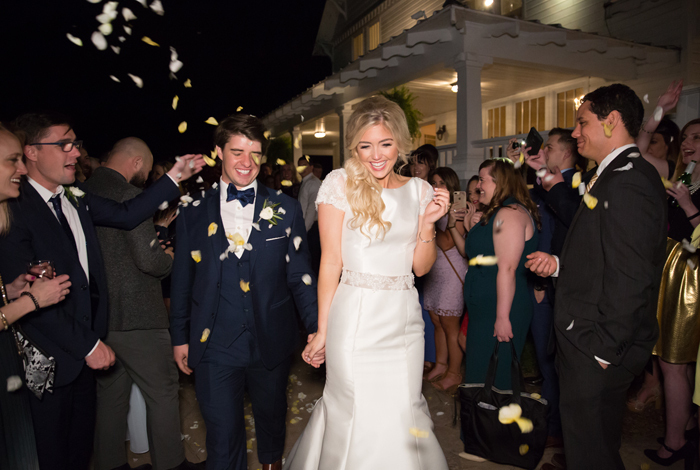 It definitely wouldn’t have happened without Laura’s impeccable taste and M. Elizabeth Weddings and Events steering the boat. 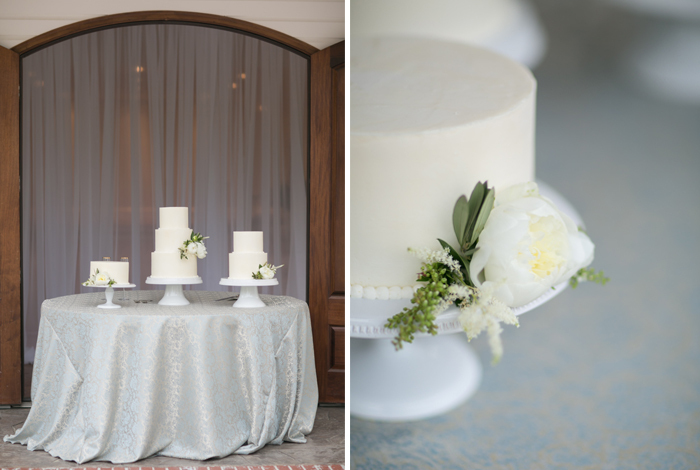 Meghan and Candice know how to throw one amazing party and put together an amazing vendor team for a fairytale kind of day. 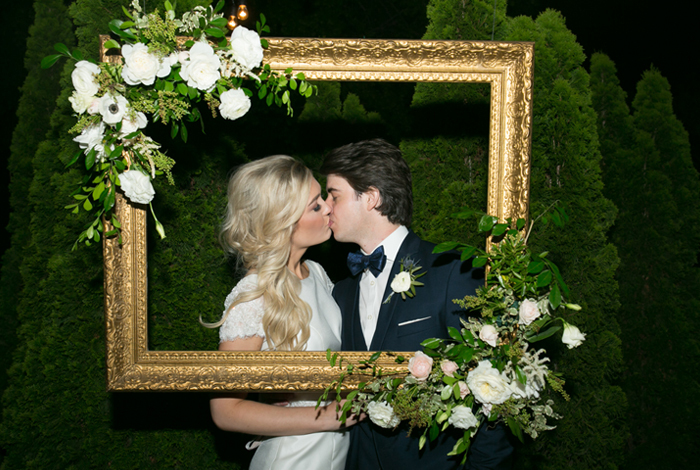 The fine art photography team of Alisha and Patrick of Alisha Crossley Photography is known throughout the world for her and Patrick’s easy going, relaxed, shooting style and how that translates to the end product is flawless. 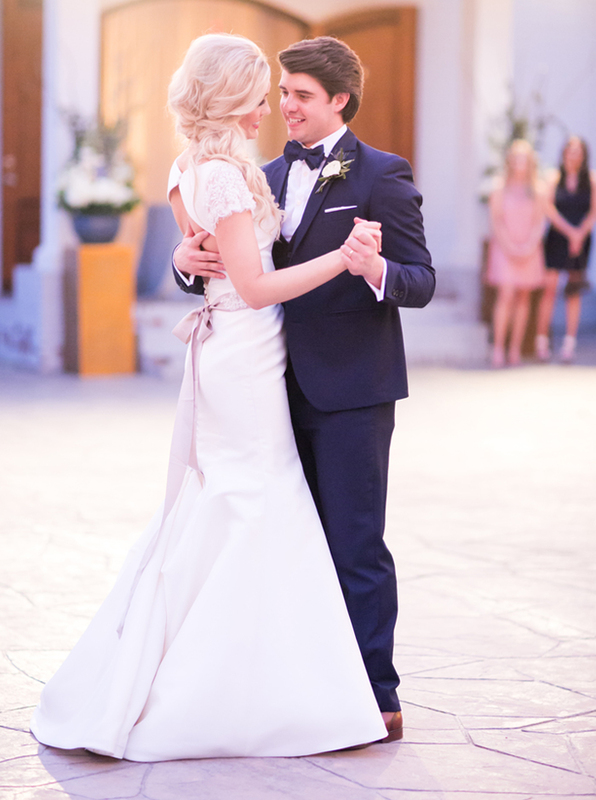 It is always a pleasure working with them and now you see why. 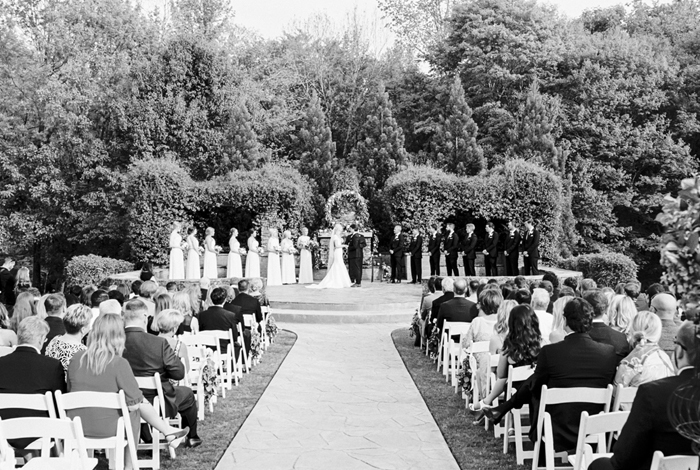 When your wedding day has come and gone you will be left with two things; your memories and your photos. 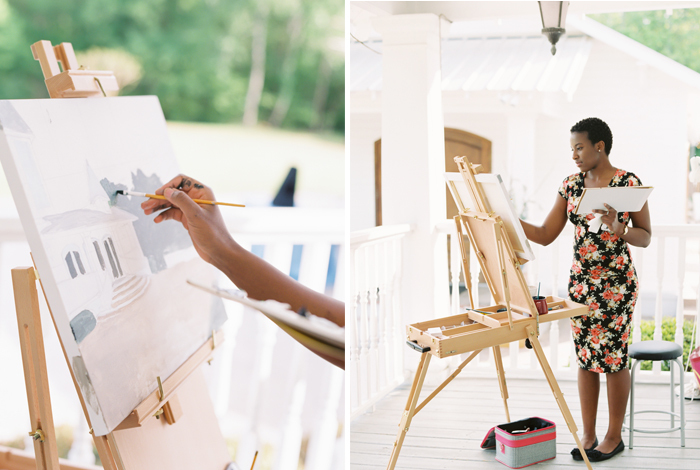 Anyone who has ever taken that walk down the aisle understands the hard work, patience, and dedication that goes into wedding planning. 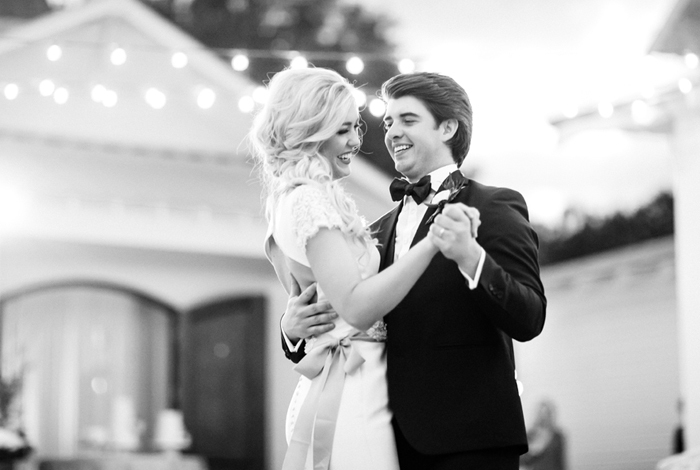 You also know how quickly it goes by and couples are always telling us how grateful they are for their photographer because they captured so many things the couple didn’t even remember happening. 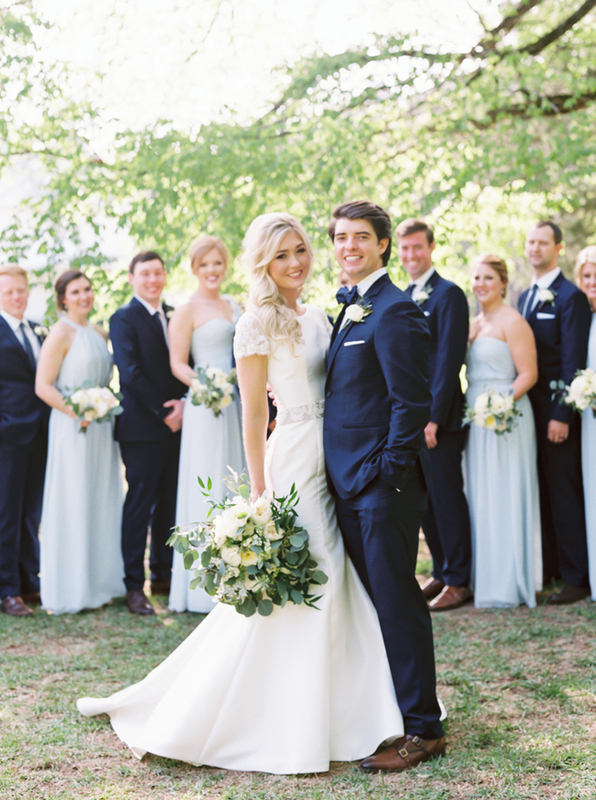 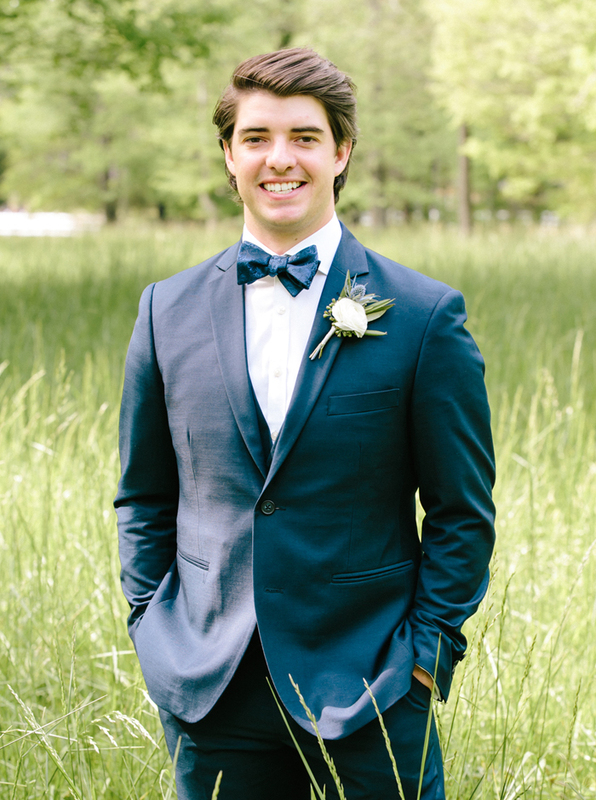 This is why having a planner and five star photographer is so important. 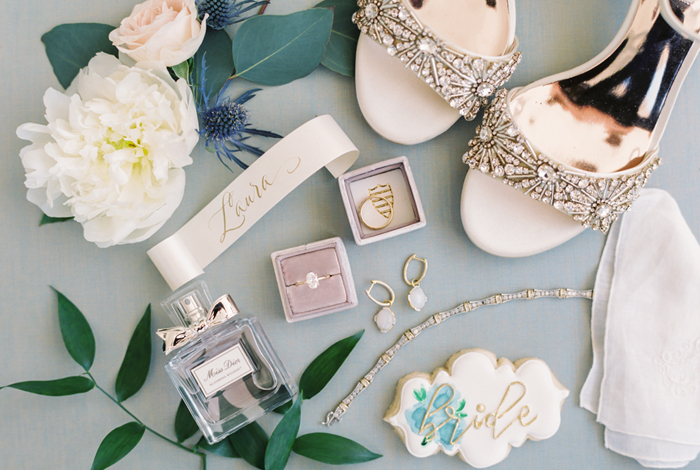 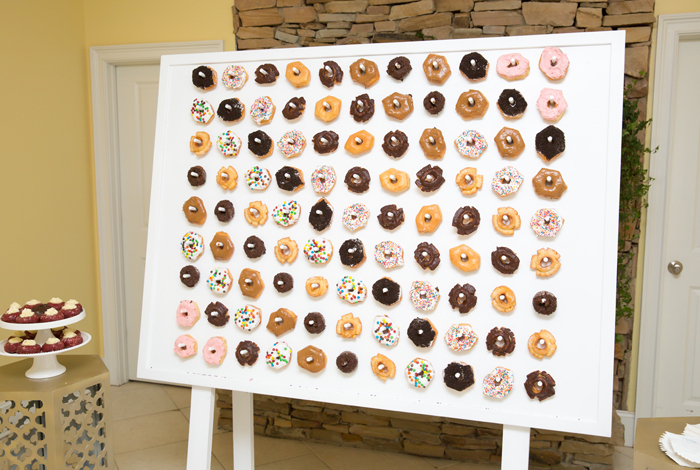 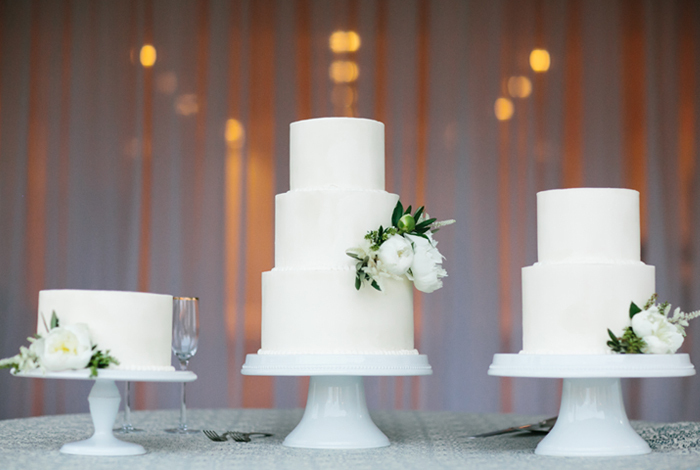 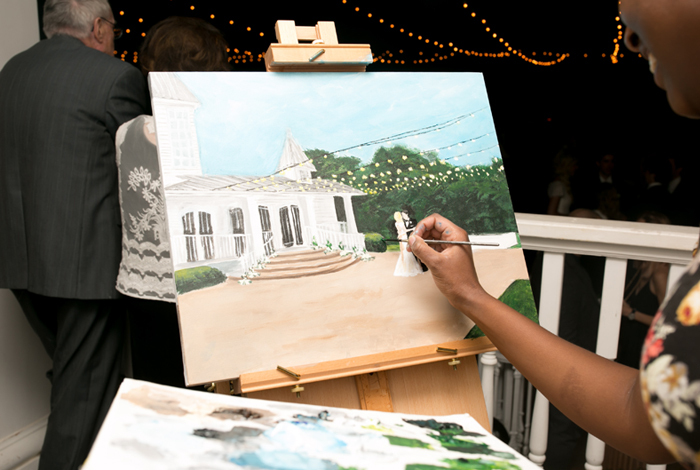 If you have ever followed the work of M. Elizabeth Weddings and Events then you know that they are known for their attention to detail and carrying a cohesive theme from beginning to end. 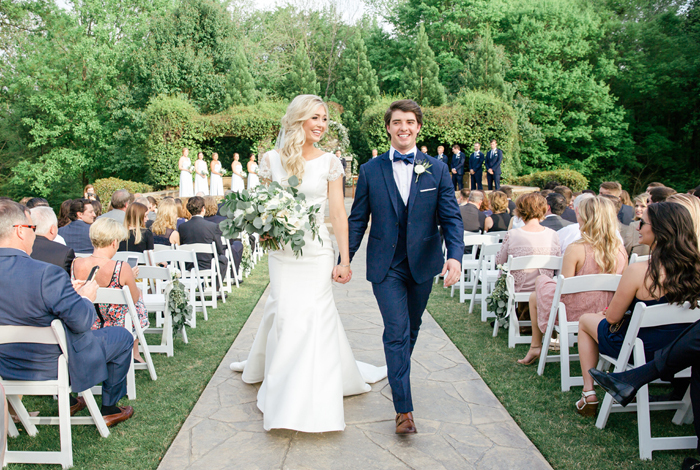 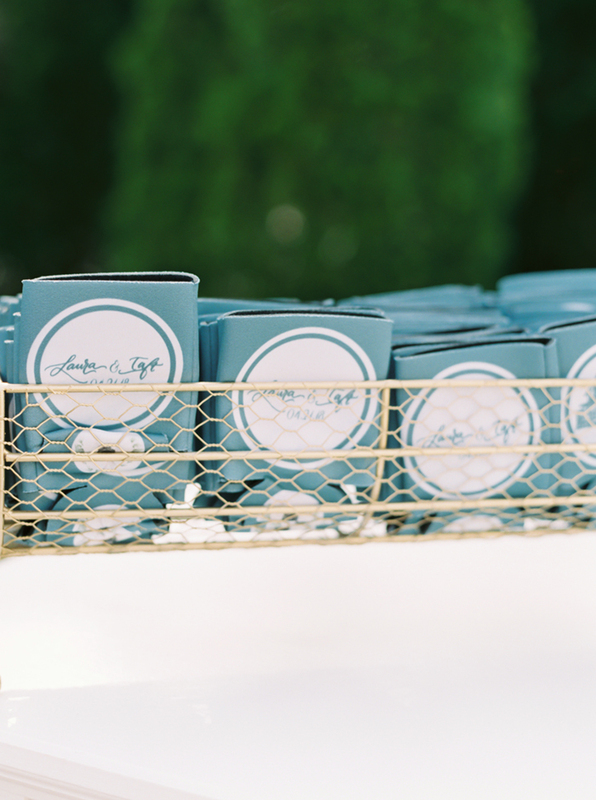 Laura worked closely with a stationer in her hometown of Muscle Shoals, Alabama for her paper suite which included not just the traditional wedding invitation and response card but also her save the dates, monogram, and welcome boxes. 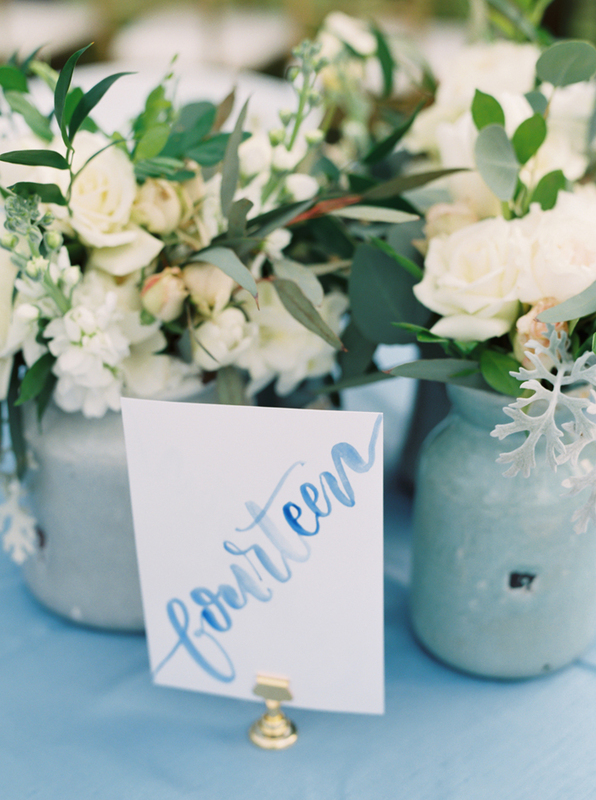 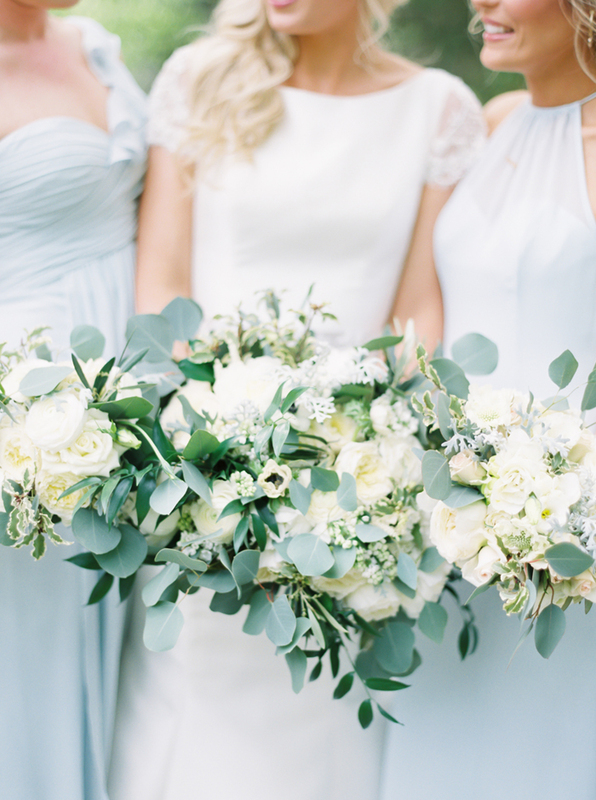 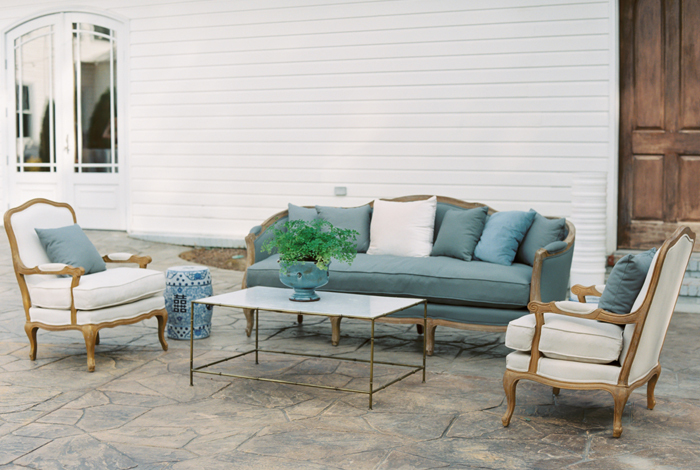 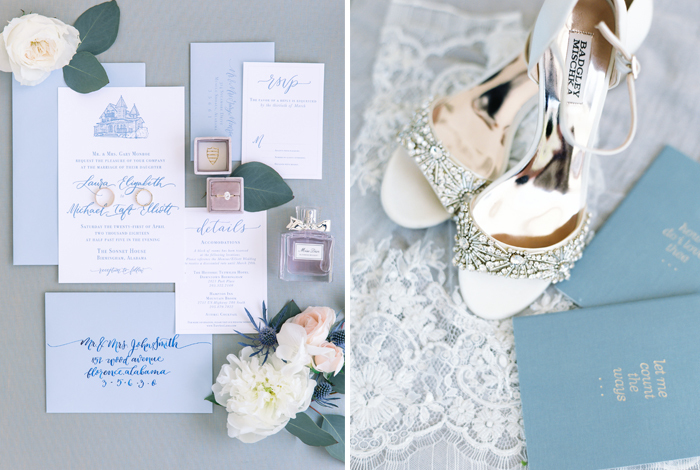 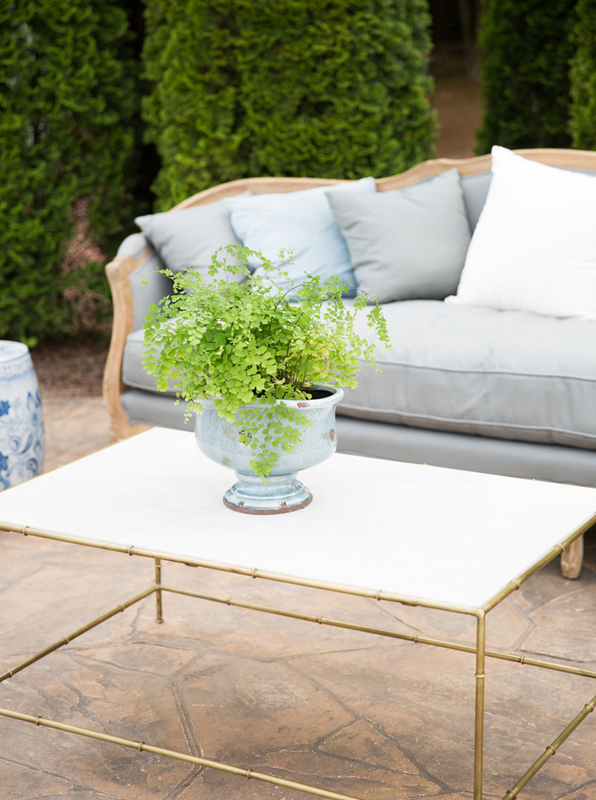 She was largely inspired by the color French Blue but was open to the decor incorporating multiple shades of blue which translated beautifully at The Sonnet House. 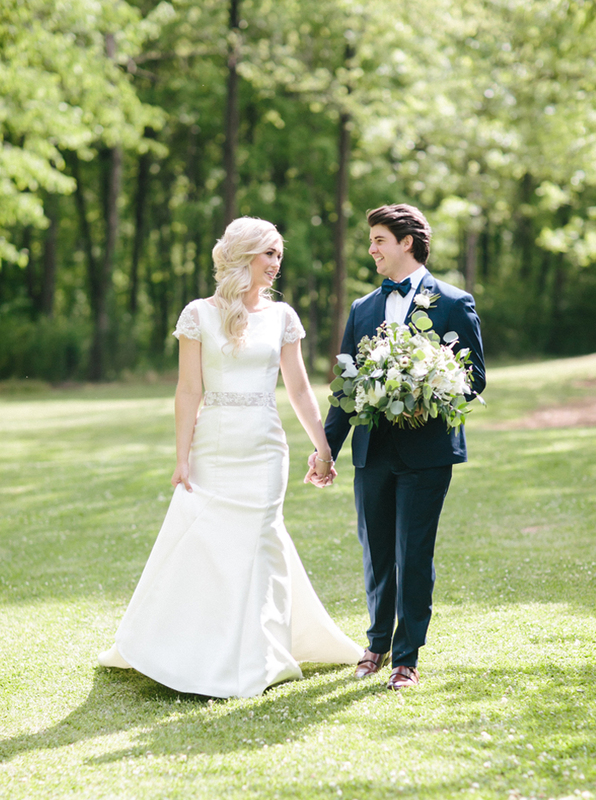 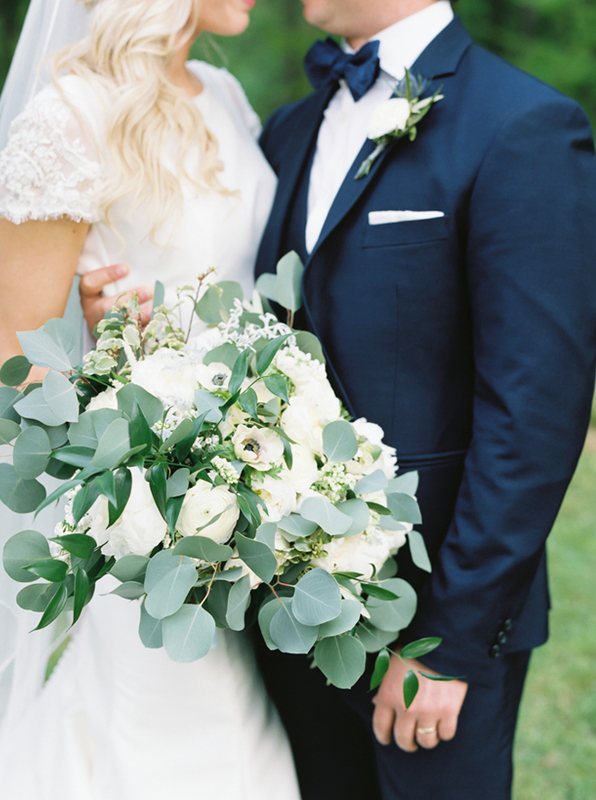 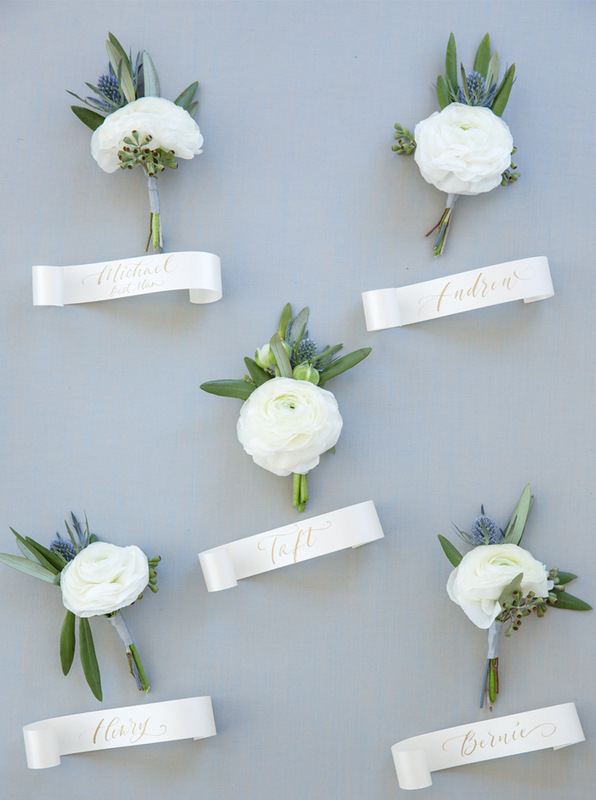 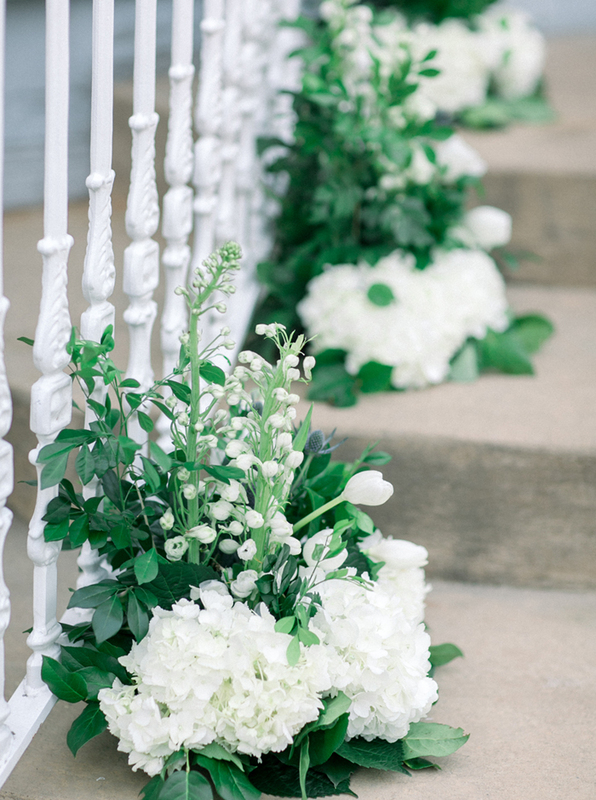 Corey Daniel Florals designed lush masterpieces of romantic blooms which included white ranunculus boutonnieres and a garden style bouquet of silver dollar eucalyptus, ranunculus, white peonies, anemones, astilbe and dusty miller. 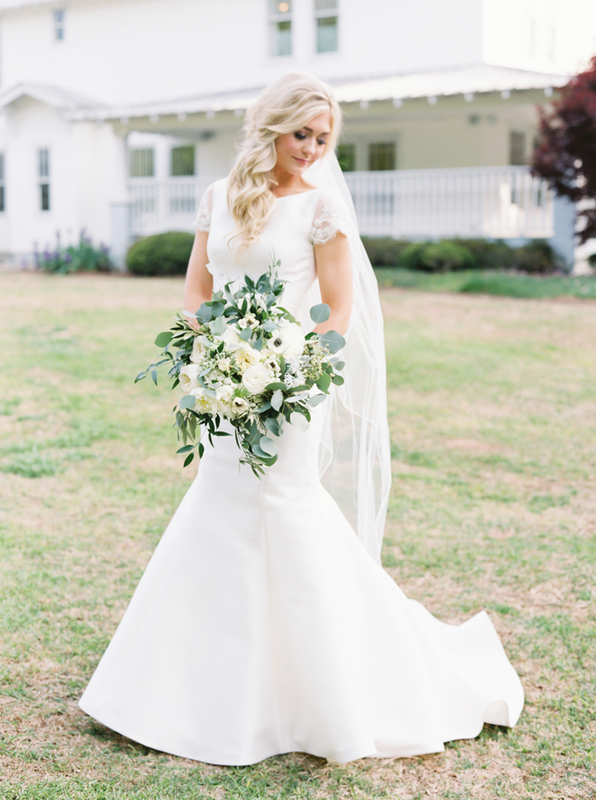 Flowers were one of the most important things to Laura and they were just about everywhere you looked. 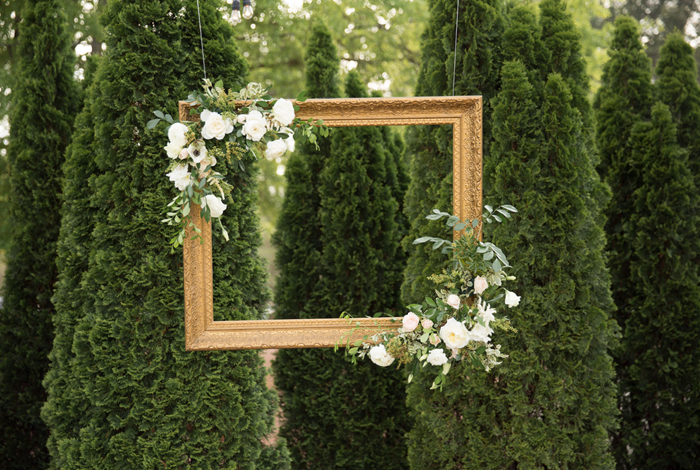 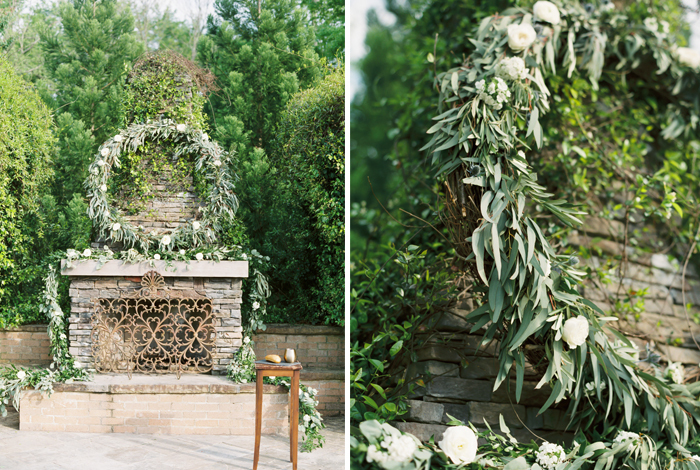 A few of our favorite floral details included a gold frame which was hung in our courtyard adorned with coordinating wedding flowers for a selfie station/photo booth during cocktail hour, the back row of the ceremony chairs was decorated with a growing garden complete with iron finials wrapped in a lovely floral and greenery garland, and who could forget the oversized eucalyptus wreath and garland for the fireplace which was made of silver dollar, willow & seeded eucalyptus with floral pops sewn in. 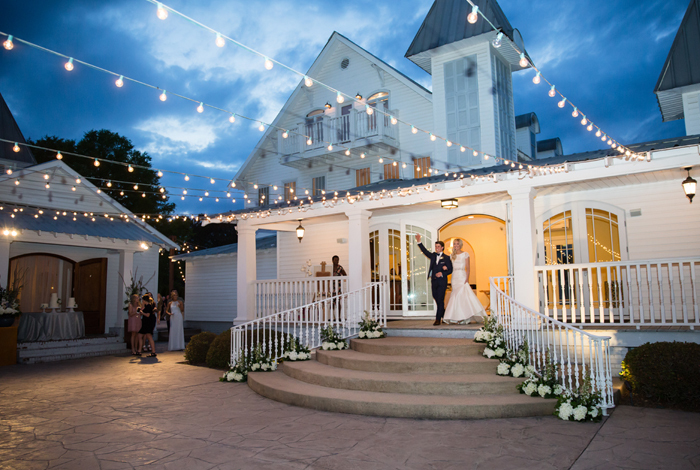 Cocktail hour was held in our courtyard while the back patio was flipped from ceremony to dinner. 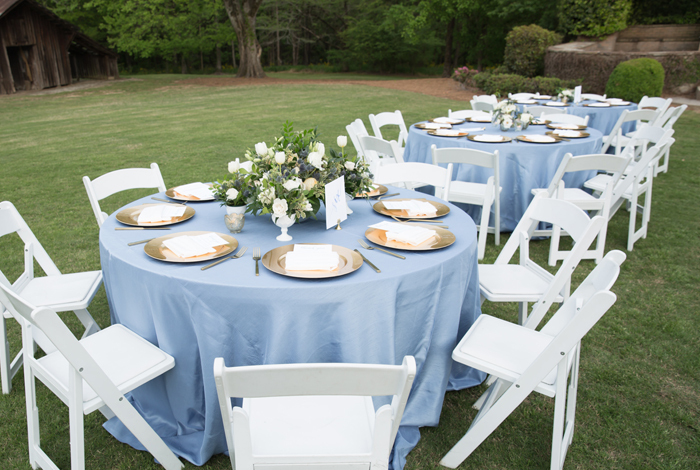 Large white bars and lounge furniture was brought in from PropHouse Birmingham and Event Rentals Unlimited offered the most beautiful estate tables and gold chiavari chairs for dinner complete with gold chargers for the dinner plates. 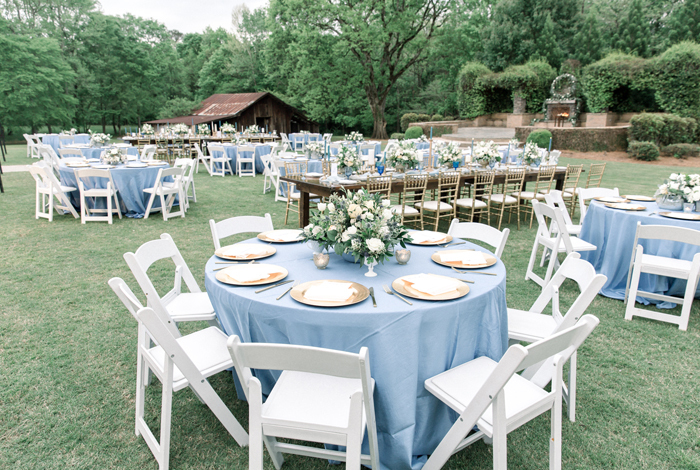 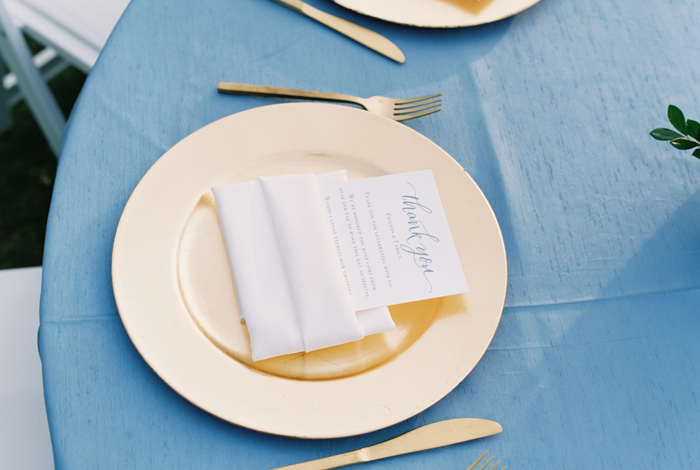 Tea and Old Roses rented stunning mismatched blue glassware while French Blue tablecloths from Connie Duglin Linen accented the guest seating tables. 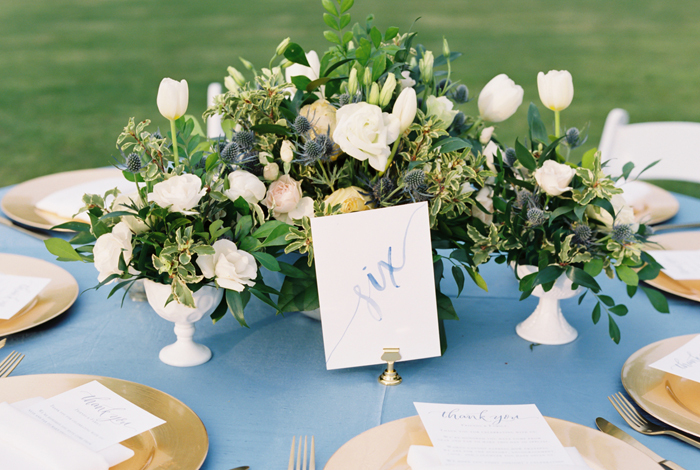 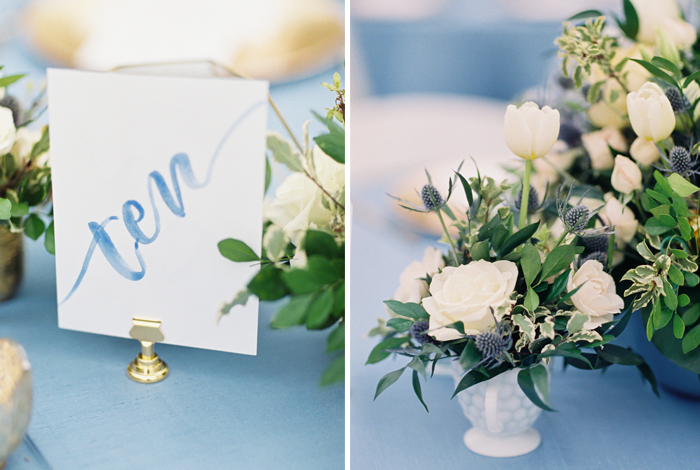 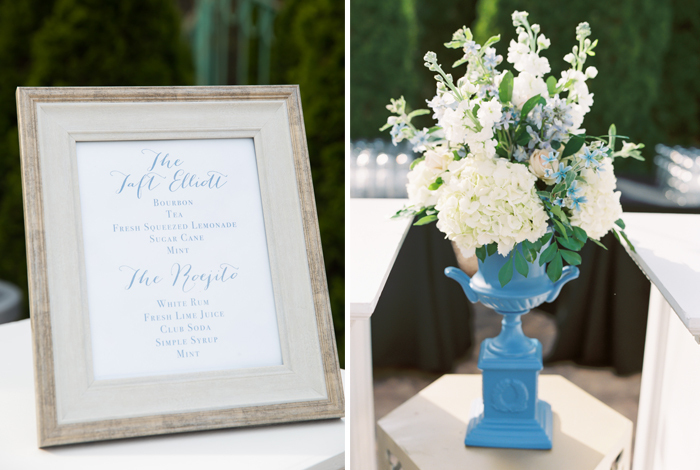 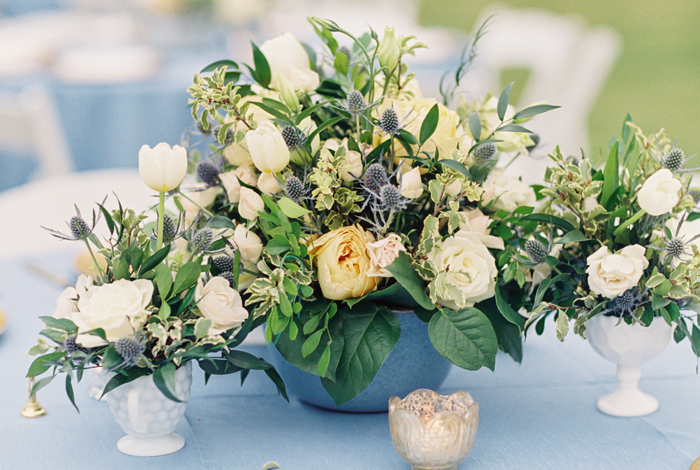 Centerpieces consisted of an eclectic mix of blue pottery and milk glass, all filled with lush, overspilling flowers. 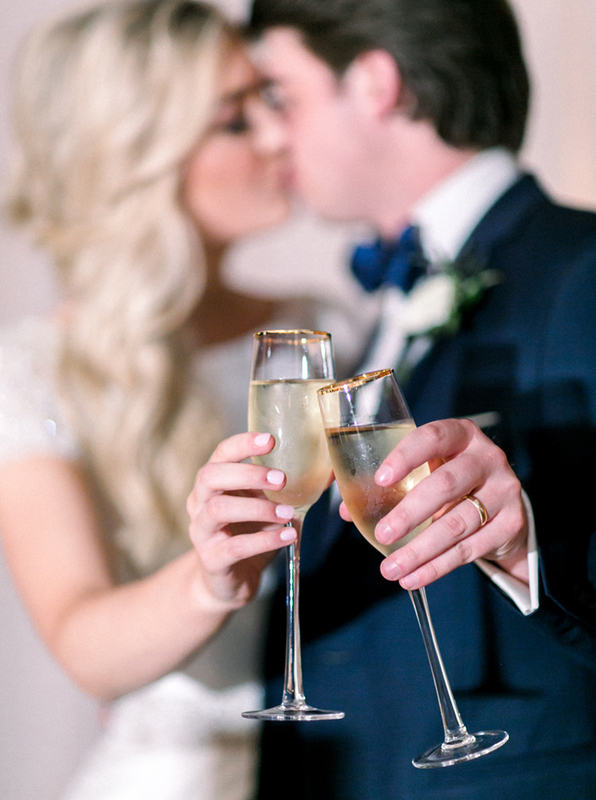 We consider ourselves extra lucky to have the opportunity to continuously work with couples we fall in love with. 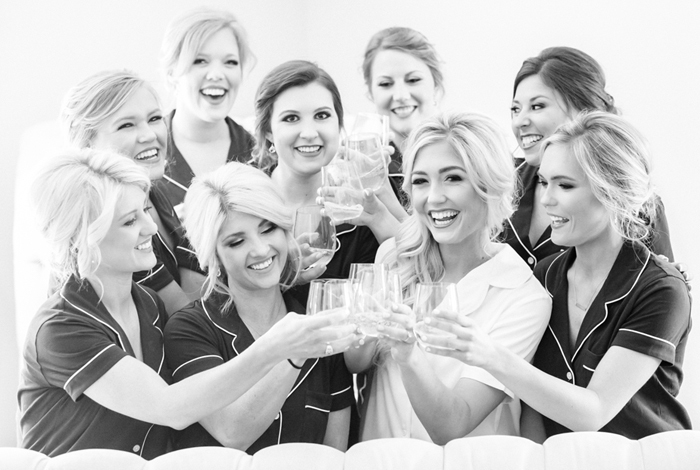 We mean it 100% when we say we have the best career in the world. 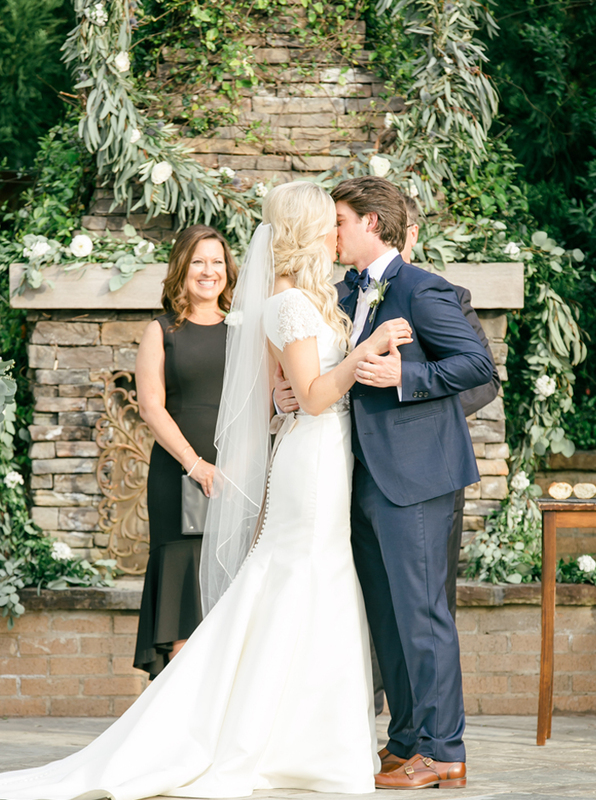 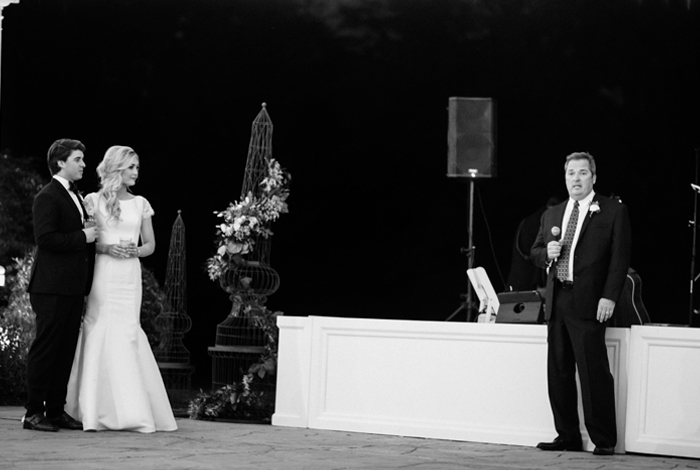 Congratulations, Laura + Taft, we wish you many many years of happiness!